The NPT Marker recognizes island structures, fifty years old or older that have retained their historic exterior appearance. The structures must be well-maintained and contribute to the streetscape. What is a house marker? The marker, a rectangular wooden plaque with the painted NPT elliptical fan logo, bears the name of the original owner, builder or historical name of the structure and the date of construction. It signifies recognition by the NPT of the structure’s historical significance. The word “marker” derives from the 15th century term “to make your mark“ and distinguishes the sign from the informal quarter boards traditionally used on-island. We will research the history of your house in order to determine the date of construction and the original owner or builder. We will share our research and copies of the deeds with you and recommend marker language. After consulting with you, the marker will be ordered and will be ready for installation in four to six weeks. 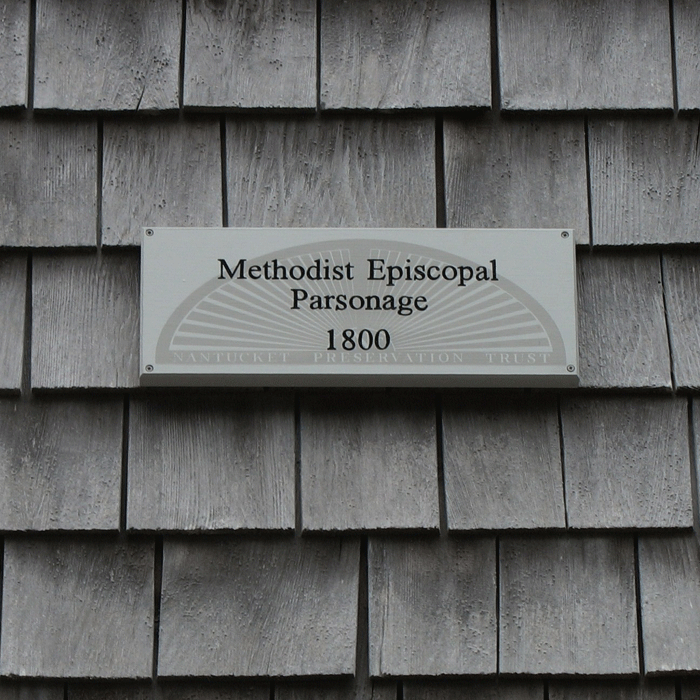 The NPT will maintain a register of historic house markers, including submitted documentation and photographs. What are the benefits of the marker program? The NPT marker informs the public about the age of a structure and its association with prominent individuals from the past or present. 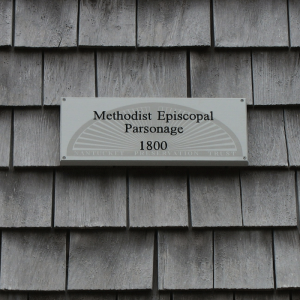 The presence of a marker also indicates that detailed information about that structure is available in the archives of the Nantucket Historical Association’s Research Library. What does a marker cost? The cost of a marker, which includes research, and installation is $1,000. A deposit of $500 is required for us to begin the research. An owner interested in obtaining a marker for their historic structure should contact us. The NPT staff will be happy to assist with your application.